A luxury watercraft is more than the sum of its parts, but choosing the right finishes (inside and out) can make your boat feel brand new -- even if it’s been on the water for years. As you get ready to refurbish your used vessel, de-winterize, or get back on the water for another season of fun, consider making a few aesthetic upgrades - from fabrics to fixtures to flooring. Dive in, as we highlight some of our favorite manufacturers and product distributors. Imtra is an industry-leading LED marine lighting manufacturer and distributor for boat and yacht fixtures, bulbs, parts, and accessories. Imtra LED marine lights are not only elegantly designed, but also easily installed, warranty-backed, and engineered to the highest quality standards. How will using Imtra lighting upgrade my boat’s look? 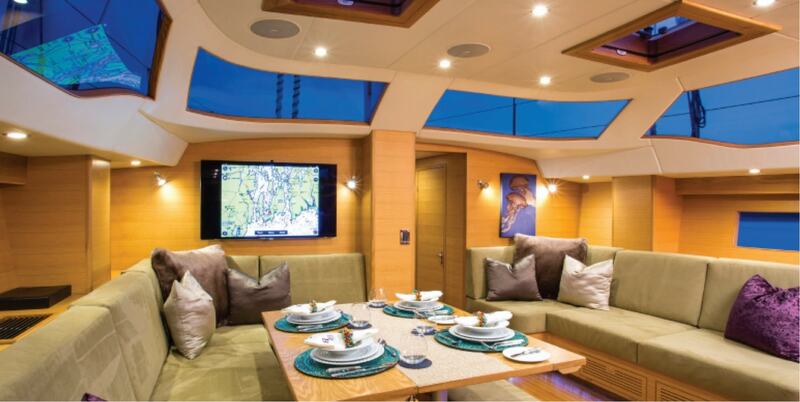 For boat or yacht owners looking to upgrade the aesthetic value of their vessel, Imtra offers a huge selection of interior and exterior lighting products. From recessed down lights that provide a clean and seamless look to beautifully finished surface-mount fixtures, reading lights, and courtesy lights, Imtra has all your needs covered. All are offered in a variety of sizes and finishes (e.g. polishes stainless, brushed stainless, white, gold). They are also the exclusive distributor for Lumishore Underwater Lights, an industry-leading LED solution for underwater illumination. Imtra offers something beautiful and innovative for every watercraft. “It’s not like in the old days, where your options for fixtures were either white incandescent or halogen lights. Now, you can actually choose the color hue of white depending on the application or personal preference. Choose traditional warm white lighting for a full spectrum “traditional” tones, or cool white which will appear brighter and whiter with hints of blue. This matters because when your lighting setup is perfectly tuned to your boat’s color palette and aesthetic environment, everything is way easier on the eyes. We’ll work with you to make sure you have the look and utility that you want. The optical aesthetics are also important to pay attention to. You want to use fixtures without distracting harsh hot spots or "dots". We have put a lot of effort in designing fixtures with consistent light uniformity cross the lens for visual appeal." How’s Imtra different from competitors? “Many of our customers have used other LED products that have performed poorly or completely failed prematurely in the marine environment. Low voltage lighting designed for the domestic market (sold as "marine") typically don’t have the properly designed circuitry containing electrical protections such as transient protection, current regulation, and EMC (electromagnetic compatibility). In a typical boat's electrical system, wide voltage range and transients/spikes are commonplace. Other challenges are high ambient heat, vibration, and exposure to corrosive elements. Our lights are specifically designed to overcome all of these challenges and we guarantee long term performance with a 5 year warranty." Imtra uses high-quality parts and materials. The housings are thermally efficient electrophoretically coated aluminum, bezels and mounting springs are stainless steel, and our lenses are frosted marine-grade glass. Which lighting products are the most popular? "Our reading lights tend to be customer favorites. They can be table or bulkhead mounted, fixed or pivoting, or come with brass-coil umbilical necks. Some models include glass or metal decorative shades. Other options include built in dimmers or bi-color options. There are just so many styling options, and they’re really beautiful." NautikFlor is truly in a class of its own. 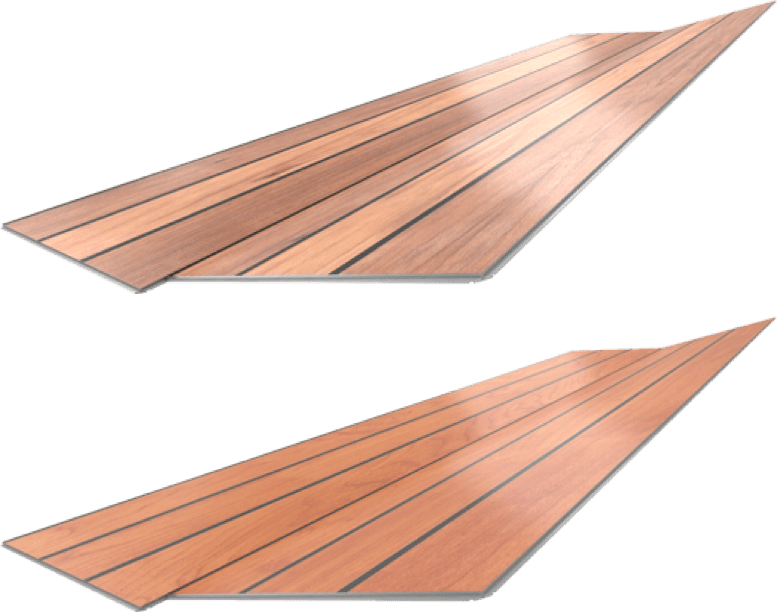 Their nautical decor flooring for boats and yachts was the first to offer a natural wood grain texture that is 100% waterproof and humidity resistant. 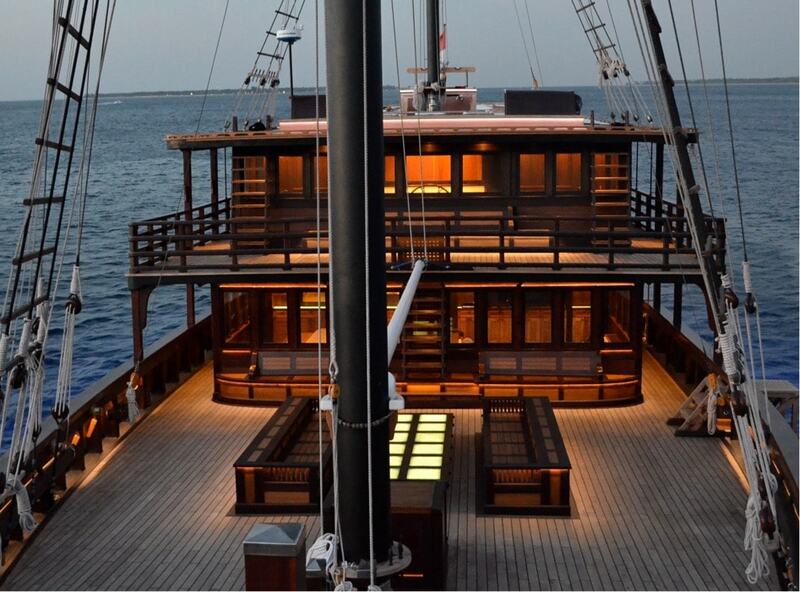 Their easy-to-install marine products are approximately 5 times less expensive than real teak. They are the only manufacturer with a commercial grade surface (Flooring Class 33) and 10 to 20 year warranties. How can Nautikflor upgrade the look of my boat? What about the manufacturing process makes it so special? 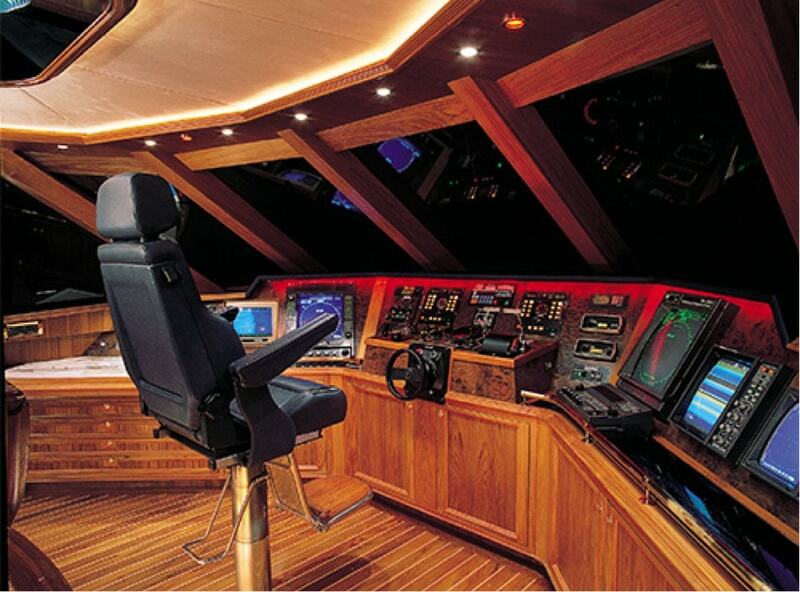 “NautikFlor provides a very high-class image. Other surfacing products offer a similar aesthetic, but those options typically don't look authentic. We use an HD printing process that perfectly mimics the look of teak, and a wood grain texture is applied during the hot lacquering process. We can even emboss logos and names on the planks. We use 100% Rigid PVC, produced through the digital printing process. It will never delaminate and almost no maintenance is required. The boards are constructed for frequent use and easy install - with a sound reduction underlay and a simple “click" tongue and groove system. 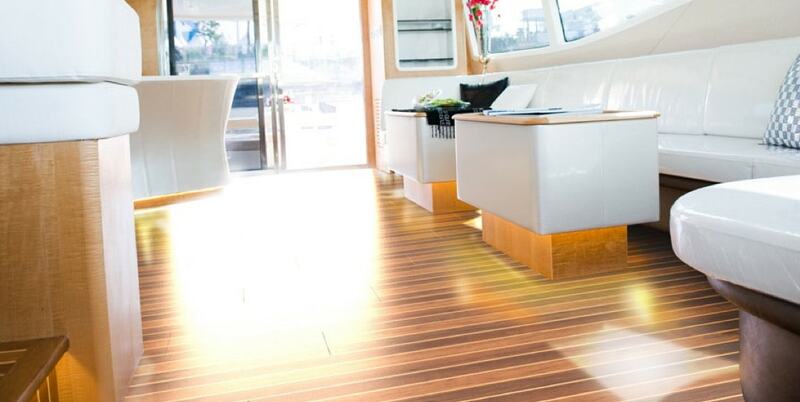 Why would I choose Nautikflor over other flooring options? NautikFlor's “no maintenance” promise provides an amazing return on investment for customers. How is it possible that the color stays so vibrant while your products never need to be sanded? Which color combinations are the most popular? 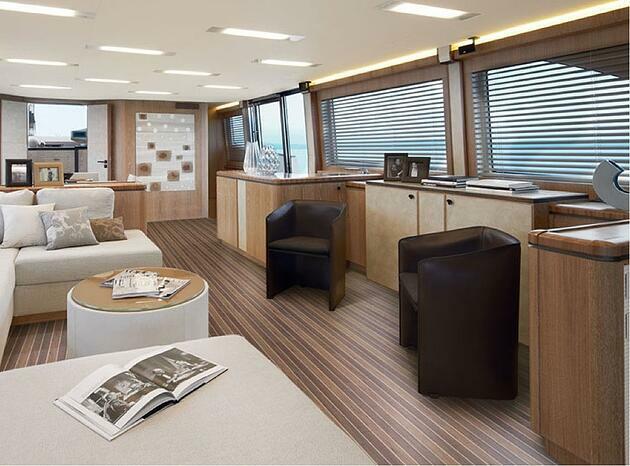 “NautikFlor marine flooring is available in 6 different colors -- Teak with Beech or Black Strip, Cherry with Beech or Black Strip, and Natural Teak with Black or White Strip. Also, matching Compass Rose planks for each of the colors are available. Strataglass LLC. has been manufacturing premium flexible clear vinyl sheets used in marine enclosure systems for over 20 years. Engineered to resist the sun's penetrating rays and environmental damage, the vinyl also blocks out nearly 100% of the spectrum of UV light and offers a beautiful look. But, how is Stragalass different from its competitors? Randy Bouffler of Strataglass explains. How does the manufacturing process create a better look? “The advantages of press polishing over the extrusion process (rolled vinyls) are very obvious. Our vinyls are heated under extreme pressure, allowing for “minimal vinyl memory,” which gives us the lowest stretch rate in the industry. Internally, this process works wonders too: it causes the molecules to line up, resulting in unparalleled vinyl clarity and minimal internal distortion. How long will Strataglass keep my boat beautiful? Herculite's Riviera and Regatta vinyl fabrics have become the industry standard for all things marine - from power boats to pleasure craft and sailing vessels. 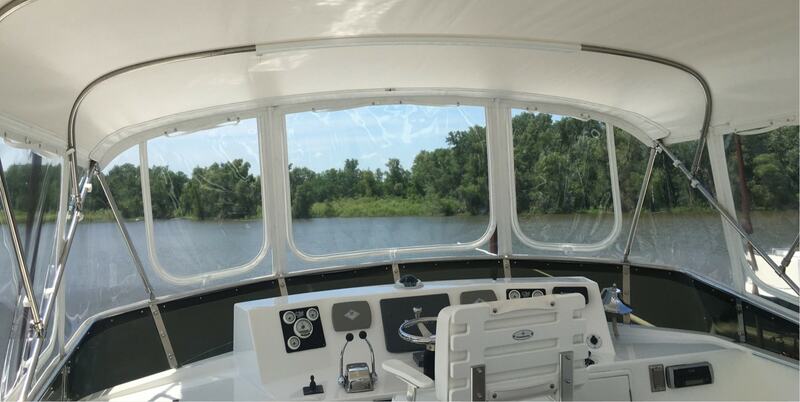 For over 60 years, Herculite has manufactured only the highest quality boom awnings, biminis, cloth curtains, dodgers, enclosures and cushions, sun, navy and convertible tops, and mooring and protective covers of all types. 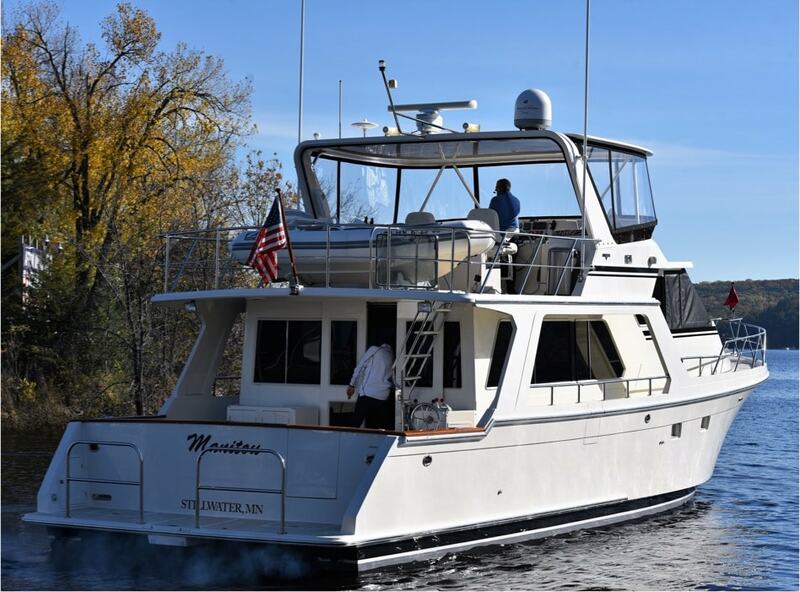 How will using Herculite marine fabrics upgrade my boat’s look? Craig Zola of the Herculite team discusses. “Both Herculite Riviera and Weblon Regatta offer a waterproof and mildew resistant solution for your boat coverings. Unlike light-colored, woven fabrics that are prone to getting dirty and deteriorating over time, Herculite marine fabrics are easily cleaned. This means you can opt to use the color white with confidence. 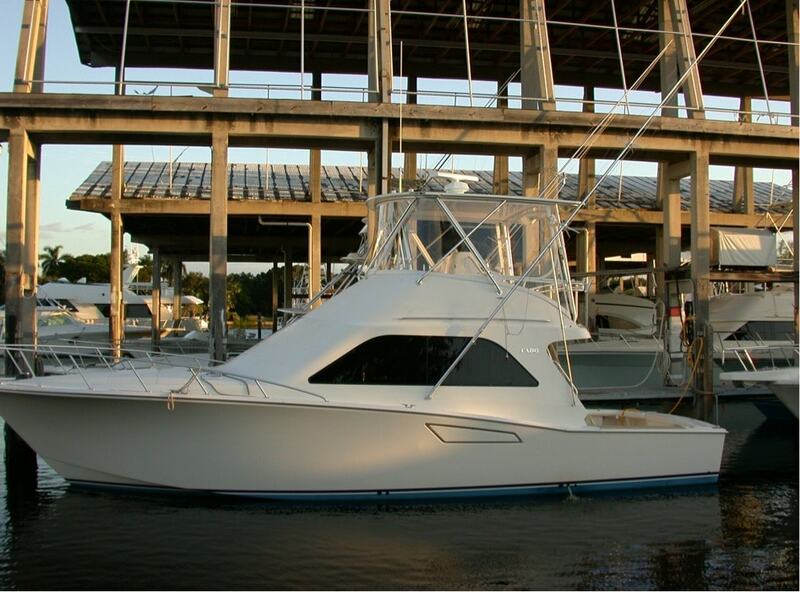 Plus, boat tops and covers can match the gelcoat and exterior cushions of your watercraft. 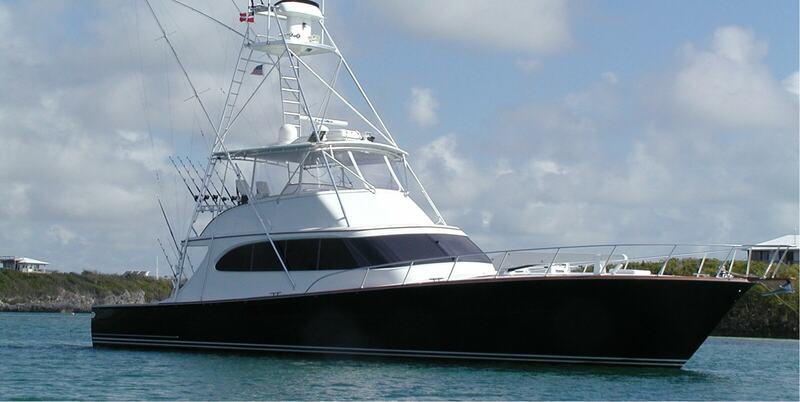 This is what you typically see on the larger motor yachts and is always a great way to upgrade the look of your boat. Riviera Marine Fabric is colorfast, so the color won't wash out or fade easily over time. The Weblon Regatta fabric comes in a variety of great styles, so you can select from Duplex colors, and Solid Patterns for a funky or classic marine look. How is Herculite different from competitors? Craig Zola of Strataglass explains. 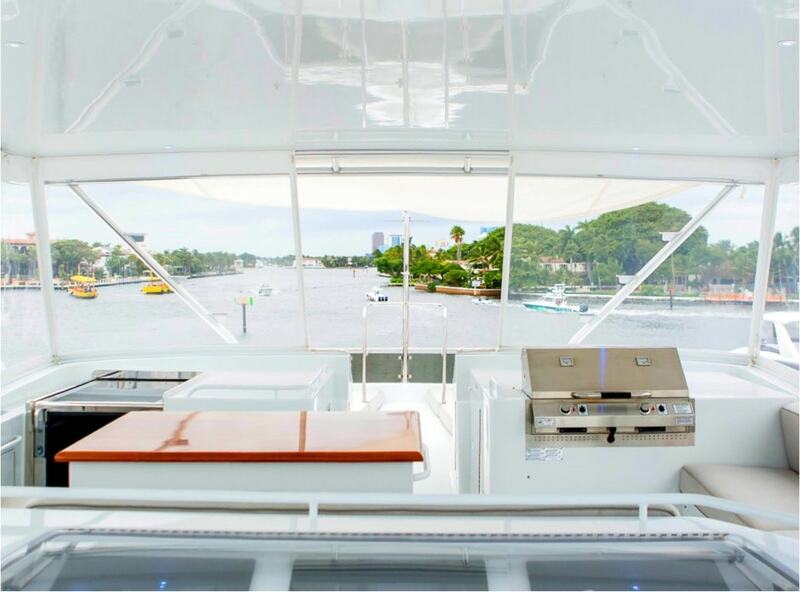 Upgrading the look of your boat or yacht’s deck and interior can make an older vessel feel completely refreshed - your neighbors at the marina might even think you’ve invested in a brand new boat!